Lok Sabha elections are due next year and the assembly polls were billed as a semi-final before the general elections. He said the results indicate people are fed up with "jumla"
The country will be Bharatiya Janata Party (BJP)-free in the year 2019, an Aam Aadmi Party lawmaker said on Tuesday. The Bharatiya Janata Party was behind its main rival, the Congress party, in Rajasthan and Chhattisgarh, and was locked in a close contest with the opposition party in Madhya Pradesh, according to latest trends. "2019 will be BJP-mukt Bharat (BJP-free India)," senior AAP leader and Rajya Sabha MP Sanjay Singh told news agency Press Trust of India. "The results of assembly polls indicate that people are fed up with jumla (rhetoric)." Mr Singh said the BJP should seek votes for the work it has done and not in the name of building Ram Temple in Ayodhya. The AAP leader said farmers, youths, traders and women are "not happy" with the BJP's policies due to which the party seems to be losing ground in the states it ruled. On the Aam Aadmi Party's performance in the assembly polls, Mr Singh said his party fought elections with limited resources and its leadership. "It is a start for us. Our local leadership with limited resources fought the elections and worked hard," he said. Assembly elections were held in five states - Madhya Pradesh, Rajasthan, Telangana, Chhattisgarh and Mizoram. In Telangana, the Telangana Rashtra Samithi (TRS) was set form its second successive government, and in Mizoram, the Mizo National Front was likely to return to power after 10 years. 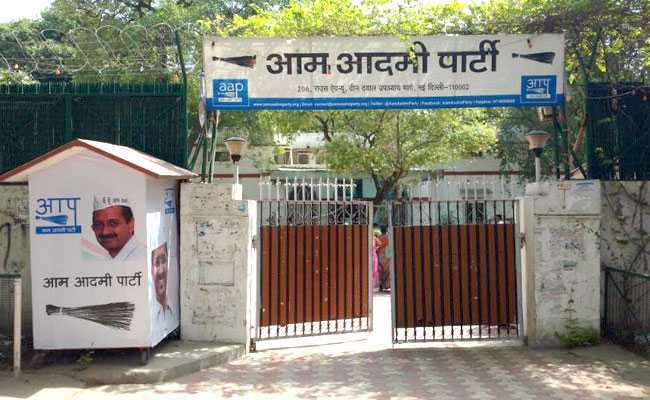 The AAP had fielded candidates in Chhattisgarh, Rajasthan, Telangana and Madhya Pradesh.